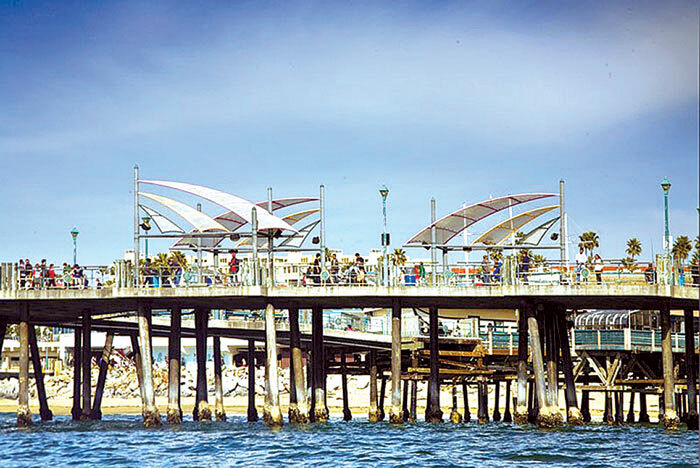 REDONDO BEACH — El Segundo-based development firm CenterCal Properties LLC was chosen by the Redondo Beach City Council at its Oct. 30 meeting to take the reins of a major redevelopment of nearly 15 acres of waterfront property in King Harbor, including a much-needed revamp of the pier. The council voted 4-1, with Councilman Bill Brand the lone “no” vote, to select CenterCal over the other two development firm finalists — Lowe Enterprises and Pacifica Companies. Councilmembers cited CenterCal’s retail and entertainment emphasis and its in-house staff dedicated to leasing, marketing and event programming for the development as major pluses for the project. While CenterCal still includes boutique hotel plans in its development proposal, both Lowe and Pacifica went hotel-first, retail-second and entertainment-third, according to Redondo Beach real estate consultant Larry Kosmont. According to the report, CenterCal is expected to spend $150 million to $200 million over the next five to 10 years on the waterfront development project. The city expects to generate as much as $4 million to $8 million in new annual revenue from the new retail entertainment and hospitality center. On the boating side, Councilman Steve Ausp pressed Bruning on his plans for a boat launch ramp in King Harbor. “We will have a boat ramp with this development,” Ausp said. In an effort to get more public input, CenterCal has planned two workshops to discuss its development plans with the public. The first meeting is scheduled for 6-8 p.m. Nov. 27 at the Performing Arts Center, 1935 Manhattan Beach Blvd. The second meeting is scheduled for 10 a.m.-noon Dec. 15 at Redondo Beach Main Library, 303 N. Pacific Coast Highway. With CenterCal Properties chosen as the developer, site planning, design and environmental review will soon begin, with the Harbor Commission and the city council to review final plans over the next two to three years.